Classic stand collar. Quilted shoulder design. 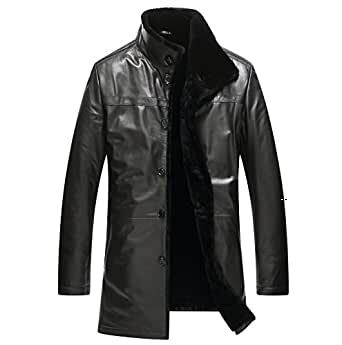 Imported from Turkey natural lambskin leather shell with fur shearling lining is soft, comfortable and breathable, keeps you looking and feeling amazing though the coldest of winter. Custom made:We offer custom made service for you, it will take 3-7 working days. We will contact you to confirm the size details after we receive your order.